Orders ship in 24 hours or less. The concept of a tape/pressure switch is awesome. But until now, attachment methods for the tape switch have been awful. We’ve all battled that and wished for something different as you rubber band your switch to your rifle. Plastic mounts fail all the time. And molded rubber doesn’t lock onto the rail securely enough. Cloud Defensive addressed the issue and the days of wishing for something better are over. 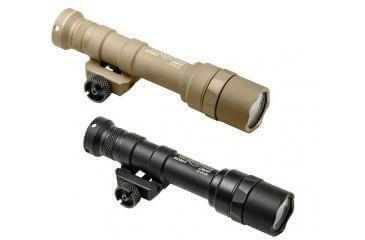 Our LCS series mounts secure your Surefire or Streamlight brand tape switch to your rifle, once and for all. The LCS Series. No more rubber bands. No more zip ties or wire or Velcro or duct tape. No more makeshift attachment methods that annoy you and fail you. No more compromising with the light activation your life depends on. 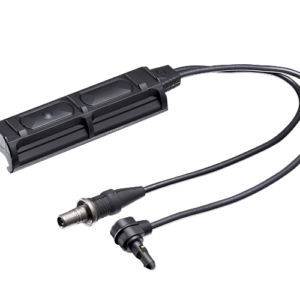 TAPE SWITCH COMPATIBILITY: This LCSmk1 mount is designed for the Surefire ST07 Remote Tape Switch for Weapon lights. The same tape switch that is often supplied with the Surefire Scout series. 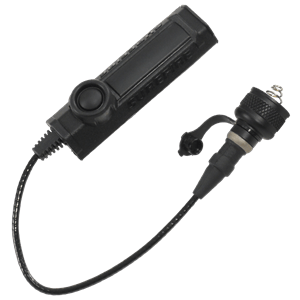 The ST07 Tape Switch fits: SureFire Weapon Lights with plug sockets, including Millennium Universal, Classic Universal, Scout Light fitted with socketed tailcap, X300 and X400 with XT tailcap assembly. 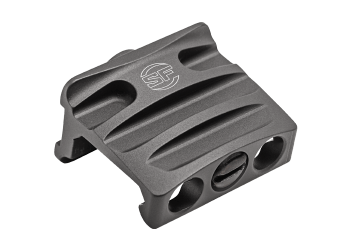 When properly fitted with the SureFire socketed tail cap, this product is also compatible with the Arisaka Defense Scout Series lights. 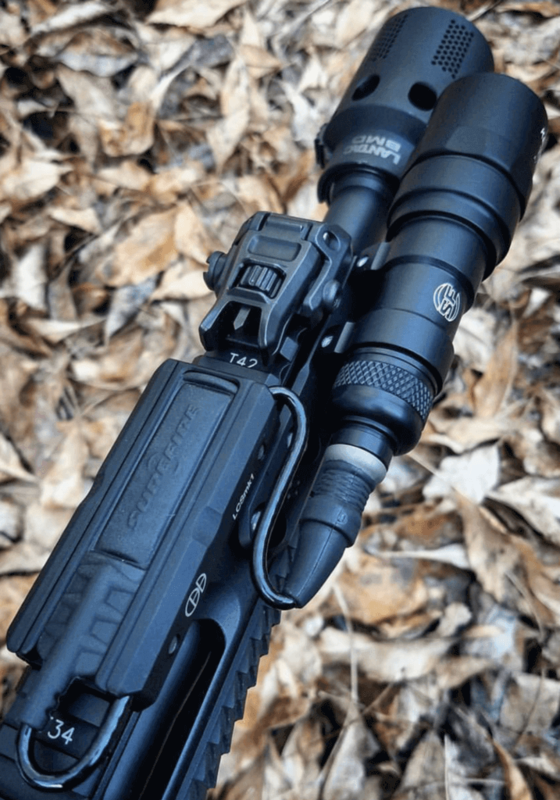 HAND-GUARD COMPATIBILITY: The LCSmk1 will mount to any picatinny rail. Unique Patent-Pending design utilizes a slot that ensures a snug, perfect friction-fit for the tape switch. Once installed its not coming out unless you want it to. “Early Exit” feature allows the user to route the cable into the LCS and then exit the mount early if more cable slack is needed for your given setup. 3-piece clamp design allows for perfect fit across all picatinny rails. Precision CNC machined from Certified 6061-T6 billet aluminum for superior strength. Mil-Spec Type III hardcoat anodized finish for superior durability and wear resistance. Full-length aluminum base allows for optimum tape switch engagement. No “give” in the tape switch when depressed makes for easier and more positive light engagement. Shooter can fully use the entire length of the tape switch now. The LCS Series Locks up 100% to your weapon. Zero movement. Zero play. Virtually indestructible. Radiused/chamfered edges ensure comfort and ergonomic function. Fully ambidextrous and reversible. The LCSmk1can be mounted in either direction, based on your preference/needs. © 2018 Big Tex Outdoors | All rights reserved.